When Michelle Preston is widowed she is financially comfortable, but has no family and no purpose in life. This is in the present time, 2010. She ponders what road her life would have gone if she had not married her child hood sweetheart but followed her own career preferences. An adventure triggered at a class reunion sees Michelle back in 1978. She manages to get a job at her old high school and meets her teenage self and friends form that time. In an attempt to save one of her friends she turns history and her family becomes the threatened ones. Michelle must do what she can to again turn things around. Unlike the other John Heldt books I have read I didn’t immediately warm to Michelle but as the story progresses I came to both like and admire her and was very happy she found love and happiness she deserved. But how do things finally turn out? Like other the John Heldt books I didn’t pick the ending and I’m not going to tell you. Her second chance at life gives Michelle the opportunities to not only find love, save friends but also live a meaningful life surrounded by those most dear. Michelle has to make decisions most people would have difficulty making. 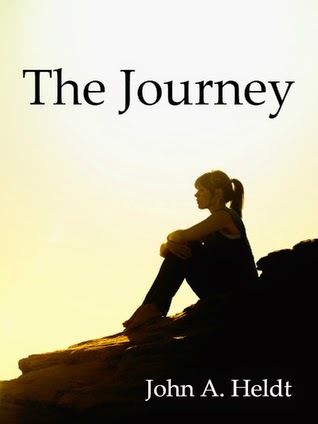 The Journey combines not only interesting characters, great storyline and attention to detail; it also triggers a mix of emotions and reactions from the reader. It is not just heartrendingly emotional, the humour is delightful and even a character from The Mine makes a ‘cameo’ appearance. Like many readers of John Heldt books, I now have a new favourite author. 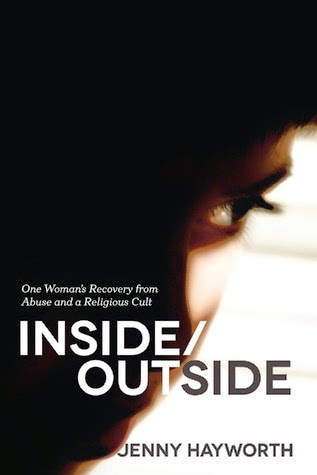 Inside Outside is a compelling story written candidly by a brave woman about the short and long term impact of sexual abuse and living within a religious cult on the lives of her family and herself. Fortunately, to the best of my knowledge, no one in my family has been the subject of physical, sexual or mental abuse. Yes, I was aware of sexual predators and domestic abuse but not personally affected by it and I thank Jenny to opening my eyes to other aspects. Like many people, the only thing I really knew of Jehovah’s Witnesses was their unwelcome knocking at the door at the most inconvenient times. So I also had no knowledge of the inside workings of a fundamentalist religion. The author openly writes about her extreme depression, self-harming and difficulty she had with what most people would consider normal social interaction difficulties and that of being cut off from loved family members because she questioned the beliefs of her religion. Inside Outside refers to her inside self and the outside world in which she must survive. Her inside self with an ‘inside’ mum and dad was a perfect world of love and kindness and it took her many years of therapy to finally let go of that inside world and learn to express emotions. We all need more understanding of the world we live in and the people we meet. We need to learn not to judge and to be more compassionate and this is one of the many lessons in Inside Outside. This book gave me an insight into a world I was totally unfamiliar with. I hope to always remember the lessons learned in reading Jenny Hayworth’s book. I received a PDF copy of this book in return for an honest review. I was fascinated by the illustrations and I can only imagine how beautiful this book must be in its 15.5 x 11.1 x 1.5 inch hardcover format. I don’t like reading directly on the computer screen but I will return to it again and again until I obtain a hard copy which will be cherished and put aside for future grandchildren. 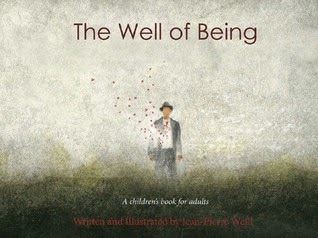 It is described as a children’s book for adults but I believe people of all ages will gain from its compelling message. This simply but beautifully written book with its equally simple and beautiful illustrations has an emotional and powerful message all should read. I usually write much longer reviews of books but I am in total awe of Jean-Pierre Weill’s work that any words I write would seem be trivial by comparison. If I could rate this much higher I would. 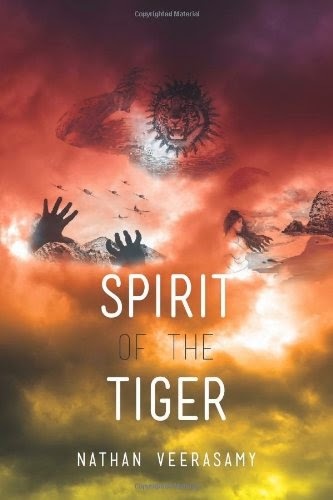 Spirit of the Tiger is a collection of three novellas all based on actual events in Singapore at different times in its history. There are links between the three stories in the characters but not the story lines. I loved all three of these beautifully written stories and learned a lot about the country, its history and its people. First story is about the author’s maternal great grandfather. It begins with the main character, Yahng, performing a ritual requested by his dying father. He does not believe in black magic, or for that matter any form of magic but he had promised his father so he sees it through. Yahng unsuccessfully challenges the deep superstition of his community and his evil brother but is supported by the wise man of the village, Jenang. After moving to Singapore, Yahng is required to act as guide for a tiger hunt. It is a role he is not comfortable with knowing the tiger will be shot at the end of the day. The final outcome is touching. The Afterword to this story poignantly draws a comparison between superstition and the present day culture of misinformation. It is a piece I will read and re-read again. The second story is based on the author’s father’s exploits in World War II and gives the reader an insight into a little known aspect of the war in Singapore when a young man and his mentor form a resistance group to fight the Japanese. The final story opens with a beautiful description of a sad, decaying but once happy home. Two families, one rich one poor, are brought together through the courtship of three brothers and three sisters. Following a murder the families are unable to come to grips with the thought that one of them may be a killer. The investigation also reveals that some of the family members are not who they were thought to be. If you have read and enjoyed John Heldt’s book The Mine then you will certainly equally enjoy The Show. It is an excellent sequel to an excellent book. There is some necessary recapping of The Mine storyline but Heldt keeps it short enough not to bore a reader familiar with Grace and Joel’s story but enough to set the scene for readers starting with this book. It begins when Grace attempts to find her time travelling boyfriend. They had met in 1941 but he has decided to return to his own time 2000. How they meet again in 2000 is creative, different and enjoyable. Everything is perfect for the reunited couple. They marry and have twin daughters but once again, this time by accident, Grace enters a time portal and travel back to 1918. Unable to return she starts a new life, meets family members and falls in love with a soldier returned from the war. She also discovers she is pregnant to Joel. But what decision would she make if an opportunity arises? I’ll leave the reader to discover that. Heldt is a master story teller and the historical facts demonstrate his skills as a researcher. He cleverly weaves fiction with historical events. His characters are likeable and believable. His story telling is engrossing and it is easy to get lost in the story; feel the atmosphere, hear the sounds and experience life of the time. 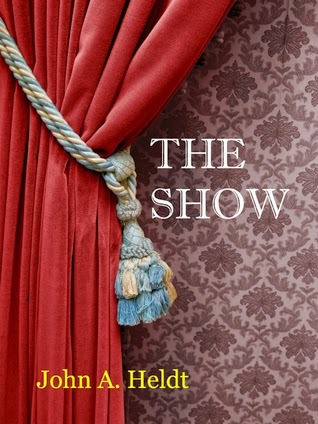 Like his other stories you will guess and re-guess what the ending will be and I am guessing you won’t pick it, or even some of the twists and turns within the story. I still have one more book of John Heldt’s to review and two more to read. I am already a big fan of his writing and hope he continues with stories of this quality. He deserves to become a best-selling author.